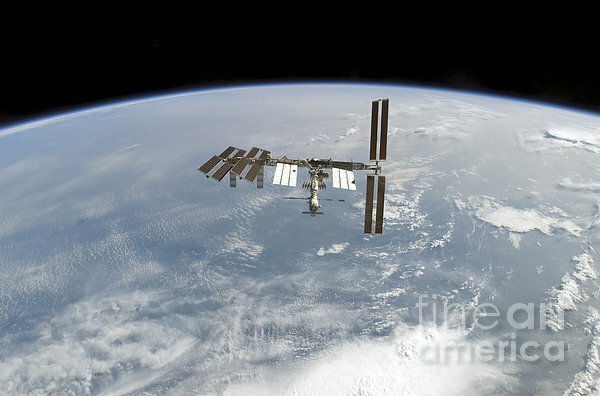 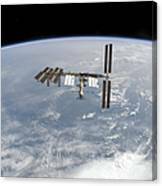 February 18, 2008 - Backdropped by Earth's horizon and the blackness of space, the International Space Station is seen from Space Shuttle Atlantis as the two spacecraft begin their relative separation. 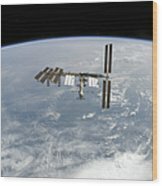 Earlier the STS-122 and Expedition 16 crews concluded almost nine days of cooperative work onboard the shuttle and station. 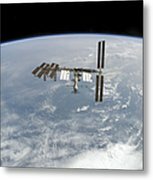 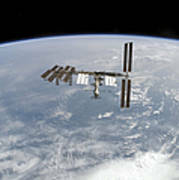 Undocking of the two spacecraft occurred at 324 a.m. (CST) on February 18, 2008.